When you’re a kid, it’s hard to find anything to not like about summer. Parties, pool time, summer camp and outdoor activities dominate most kids’ schedules as they suddenly have free time in spades. But all this activity and free time also leaves your kid vulnerable to the health and safety hazards that the season presents. With some common sense and precautions, however, you can protect your children against many of common summer-time health concerns. Sunscreen – and lots of it. With every sunburn you increase the risk of skin disease and cancer later on in life. And to be honest, nobody really wants to deal with an unhappy and sunburned child. Slather on the sunblock before you go outdoors, keep applying it every two hours and wear hats and sunglasses to further reduce exposure to the sun’s harmful rays. Bug Spray – in moderate amounts. Mosquitos, ticks and other pests cause painful, itchy bites and welts but also increase the risk of contracting a number of diseases, including West Nile virus, Zika virus and lime disease. Be extra careful when applying mosquito repellent containing DEET however for use on small babies and infants. Discuss your best choices with your pediatrician before using on the smallest children. Water – and lots of it. The summer sun, coupled with outdoor activities, allows for quick dehydration. Make sure to hydrate by getting in at least eight glasses a day; more when active. Adult supervision – in sensible amounts. Community playgrounds and pools, though providing tons of childhood fun, are ripe with health risks and dangers. Keep a close eye on your child to ensure that falls and water hazards are kept to a minimum. Helmets – always. Whenever your child, regardless of their age, is on a bike, skateboard, scooter, hoverboard or a pair of roller skates, ensure their safety by protecting their noggin. 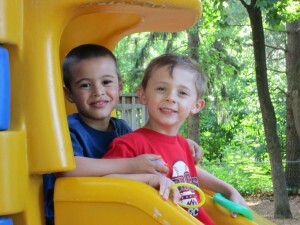 As Southington’s most sought-after preschool and child care, your child’s safety and health is of utmost importance to us and the community as well. By taking just a few simple precautions, you can relax and enjoy the rest of your summer.